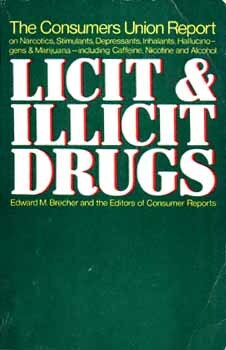 Licit and Illicit Drugs -- five years in preparation -- is a massive study of the pharmacology, sociology, and history of mind-affecting drugs in our society, and of our social and legal responses to these drugs and their users. It devotes a section to each common drug, including caffeine, nicotine, and alcohol, delineating its origin, patterns of use, pharmacology, cultural traditions, its licit and illicit use by Americans today, and its legal history. Consumers Union then takes these findings, and out of an integrated review of social, legal, and pharmacological effects, presents a series of specific recommendations aimed at both legislators and the community -- including drug users. Meticulously documented and researched, this compendium of accurate and complete information is unparalleled in dispelling rumors and misrepresentations that have so long affeted our policies towards drugs. -- John C. Kramer, M.D., Associate Director, Special Action Office for Drug Abuse Prevention, Washington D.C.
"The most thoughtful general survey of the area that I have yet seen . . . a must for anyone who is interested in doing more than breast-beating over the drug issue." "Presents rational, thoughtful, conclusions that should make it required reading for everyone." "Anyone (and that means everyone) should consider the reading of Licit and Illicit Drugs a requisite to awareness of today's scene." "This is the book for anyone who uses drugs or may potentially use them -- and that includes just about all of us."